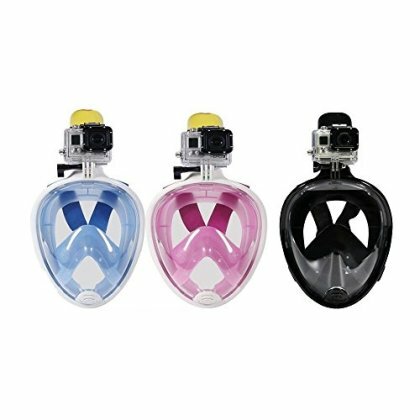 Full Face Snorkel Mask - Light weight, Stylish, Comfortable and Easy to use. 4 Adjustable elastic fabric bands suitable for all head shapes and avoids tangling of hair. Anti-Fog Design - Innovative design features a separate breathing chamber creating an airflow that helps to eliminate fogging.